After a very hot start to August, it was a cool August morning this week that we decided it was time to harvest our Turán (also known as Agria) grapes. It was a good harvest. The crush went well. And the young wine is already fermenting in our cellar. 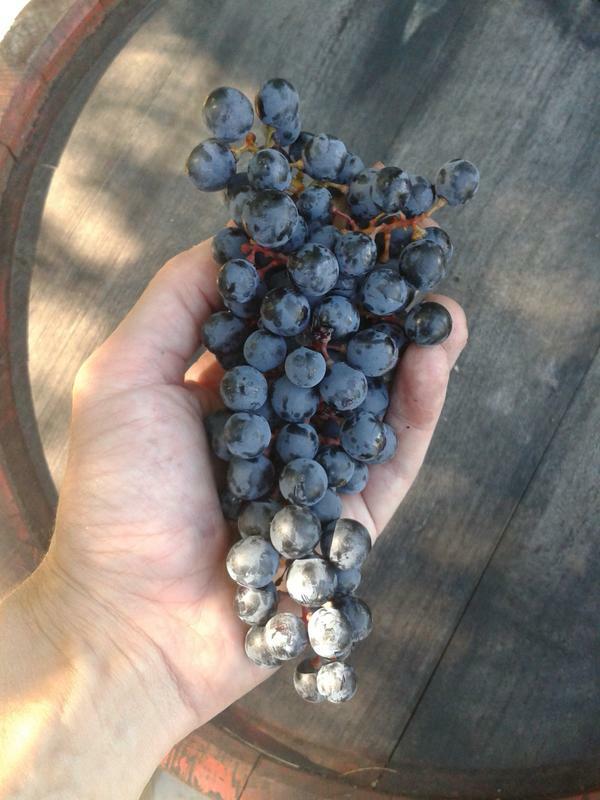 Turán grape cluster at harvest. 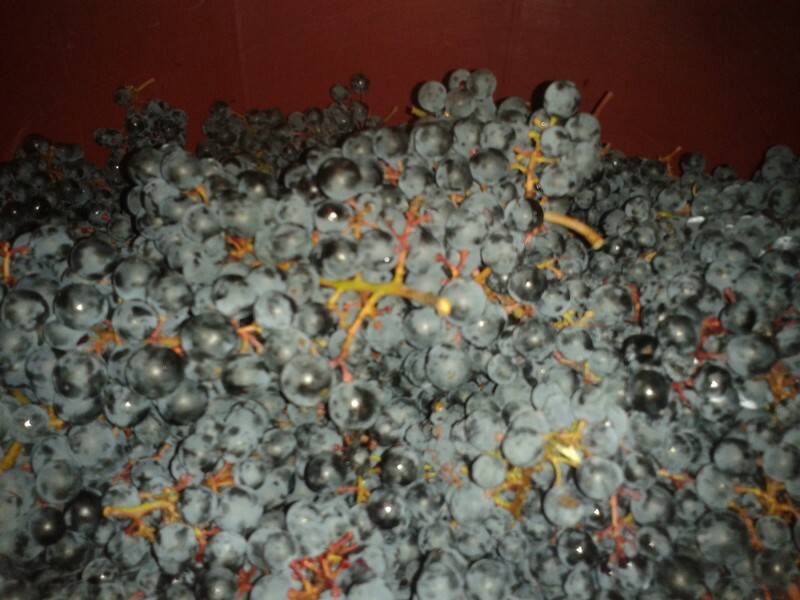 Turán grapes filling the collection vat.